National Park Service Intern and Gettysburg College student Dave Hadley begins his National Cemetery tour at the Taneytown Road entrance to the Soldiers National Cemetery. He began with the usual safety warnings, and asked visitors to be respectful of the men buried here, and of the gravestones. 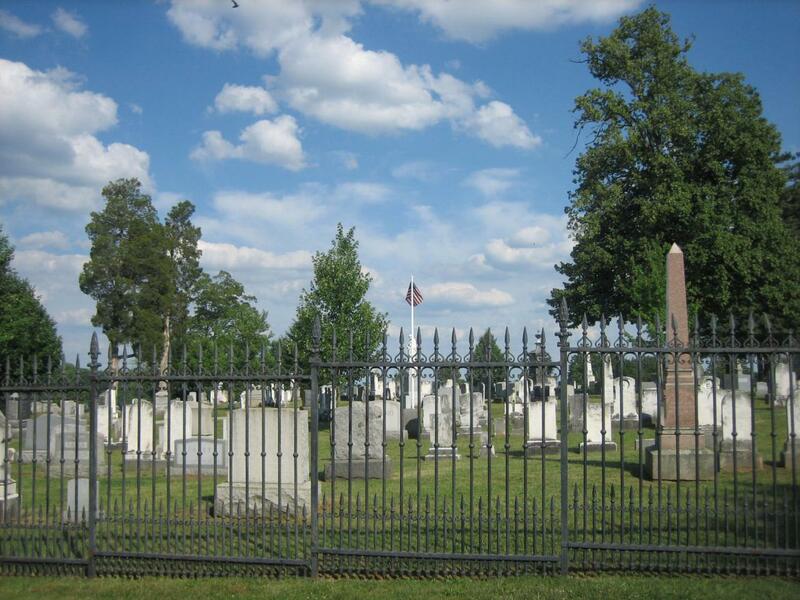 He also explained that Evergreen Cemetery, and the Soldiers National Cemetery were part of the Rural Cemetery Movement that was sweeping the country during the middle of the nineteenth century. This view was taken from the southwest facing northeast at approximately 4:30 PM on Monday, July 14, 2008. 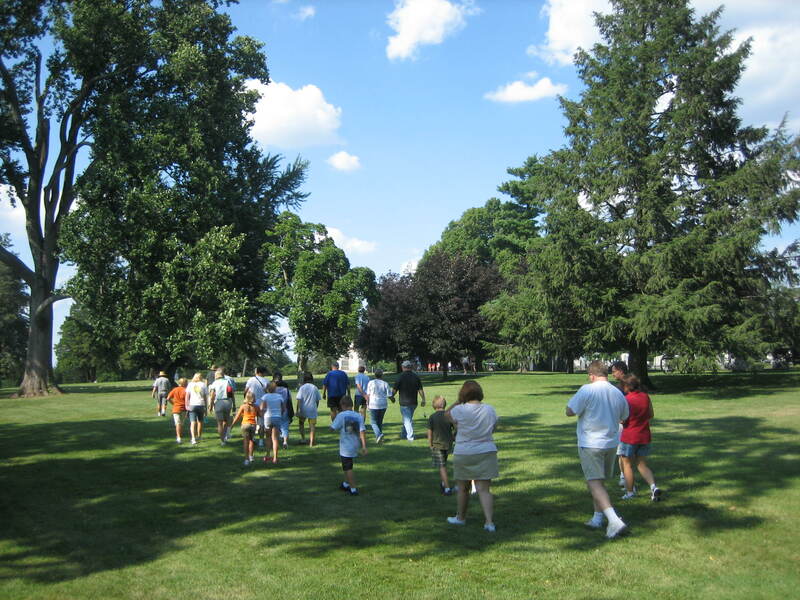 Free walking tours of the The Soldiers National Cemetery at Gettysburg National Military Park have been down in visitation this year. The primary reason, of course, is that the new visitor center, is much farther away from the old visitor center. 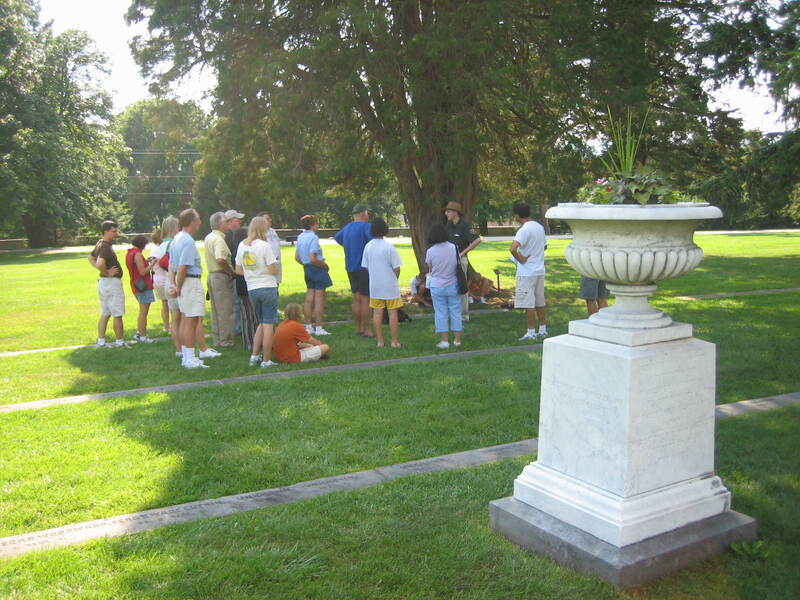 Cemetery tours when the old visitor center were open, frequently had 50 to 100 individuals attending. This year, tours are lucky to average 15 individuals. 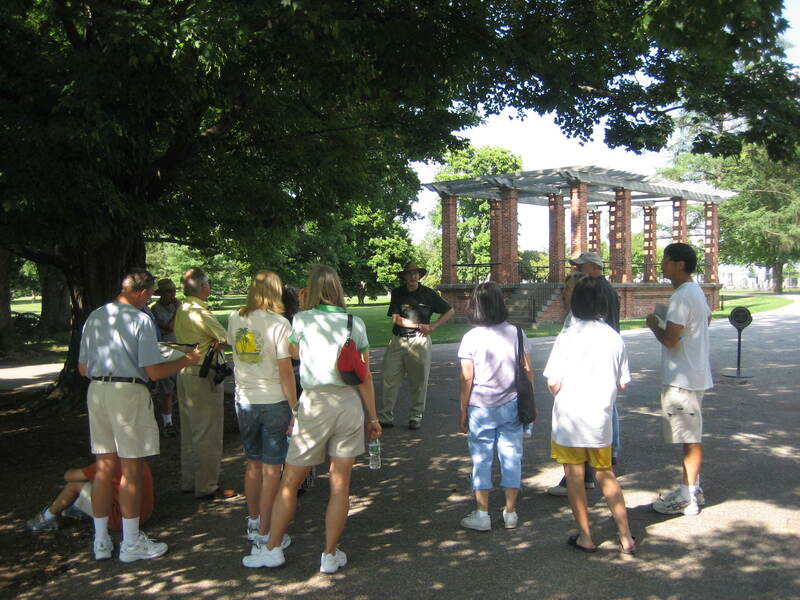 Monday afternoon, the Gettysburg Daily attended National Park Service Intern, and Gettysburg College student, Dave Hadley’s 4:30 cemetery tour. Approximately 20 people showed up for his presentation. 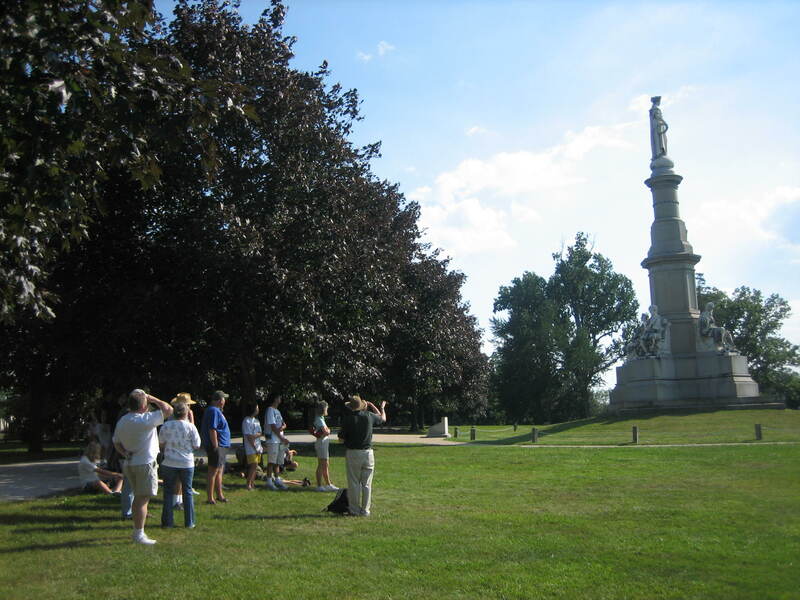 The second stop on the tour was Edgell’s 1st New Hampshire Battery. 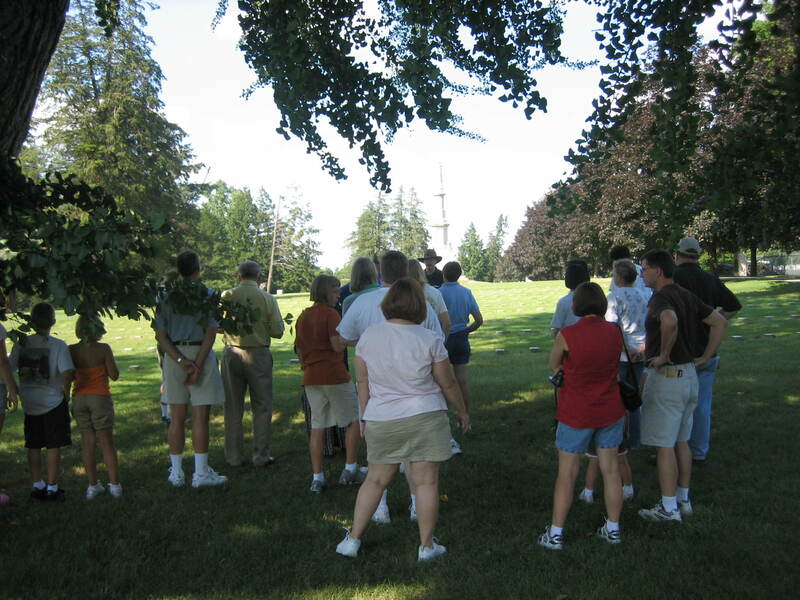 Dave explained Cemetery Hill’s importance as a United States artillery position during the battle. He also passed around some examples of canister and minie balls. Dave stated that 570 tons of metal and lead were fired from weapons during the three days of the battle. This view was taken from the southwest facing northeast at approximately 4:40 PM on Monday, July 14, 2008. The group then moved to one of the unknown sections of the cemetery. This view was taken from the southwest facing northeast at approximately 4:40 PM on Monday, July 14, 2008. The third stop was the unknown section on the south side of the Soldiers National Monument, which is visible in the background. Here Dave spoke about William Saunders design for the Soldiers National Cemetery. He said that Saunders had three plans to implement here: First, “simple grandeur.” Saunders wanted plain, dignified headstones. Second, he wanted all the dead to be equally buried. Nobody should have a more prominent place in the cemetery than anyone else. Third, the plots should be intermingled. But Saunders failed with his third plan. The states wanted their own individual plots. This view was taken from the southwest facing northeast at approximately 4:50 PM on Monday, July 14, 2008. In the Minnesota section of the cemetery, Dave emphasized that the deaths of these soldiers affected many family members around the country. He related how Captain Nathan Messick, of the First Minnesota Regiment died on the third day, and how he left a wife and four children back in Minnesota. The over 600,000 men dying in the American Civil War in the 1860s would be the equivalent of 6 million men dying today. This view was taken from the northeast facing southwest at approximately 5:00 PM on Monday, July 14, 2008. 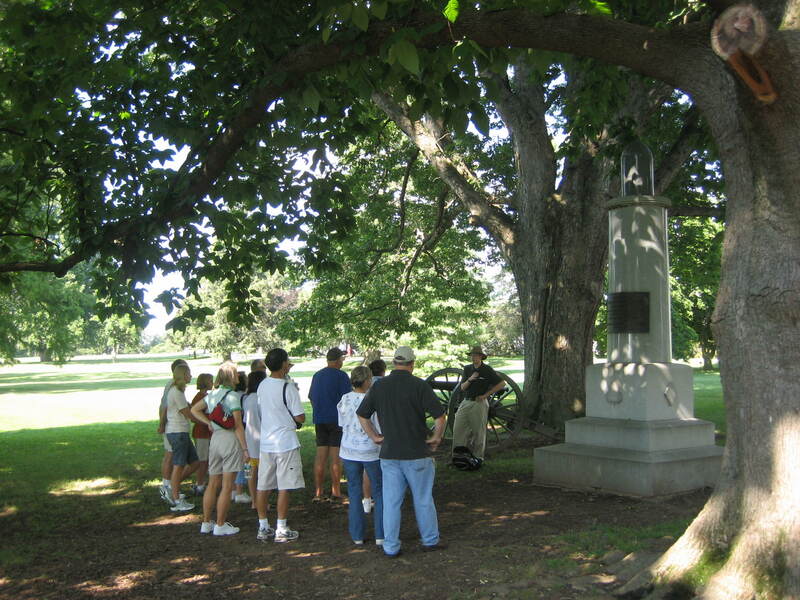 Near the area where President Abraham Lincoln gave his Gettysburg Address, Dave explains to his group that Lincoln did not want to come to Gettysburg, because of the illness of his son, Tad. However, he thought he owed it to the country to make an appearance. This view was taken from the west facing east at approximately 5:10 PM on Monday, July 14, 2008. Dave stated that the platform where Lincoln gave his address was in the area of Jennie Wade’s grave, now marked with the American flag in the Evergreen Cemetery. This view was taken from the west facing east at approximately 5:10 PM on Monday, July 14, 2008. 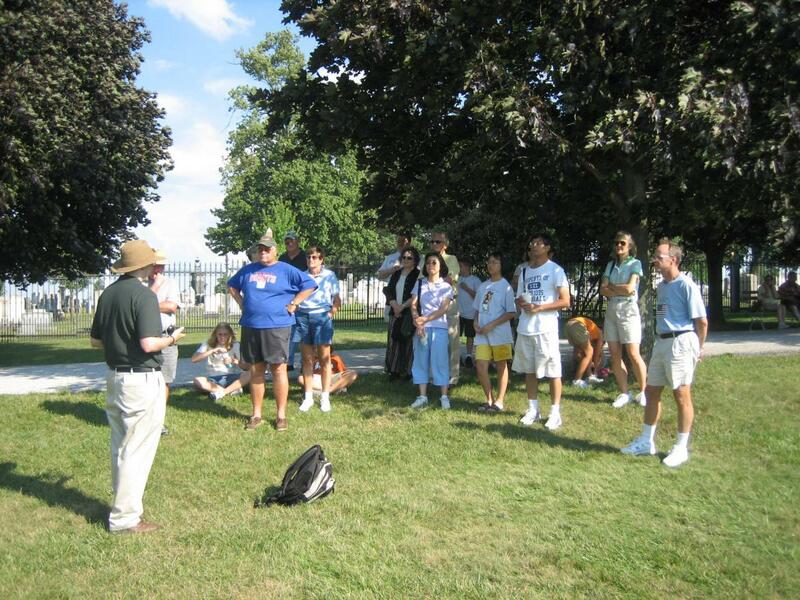 Dave then explained the meaning of the figures on the Soldiers National Monument, and read the Gettysburg Address. This view was taken from the northeast facing southwest at approximately 5:15 PM on Monday, July 14, 2008.